With its GameDock, Cascadia Games has a new twist on iOS arcade play — it lets you use your TV and two classic controllers. While retro games are popular on iPhones right now, an intense session can go haywire if your digits slip around on the tactile glass, and head-to-head play is literally that if you’re sharing a small device with a foe. That aforementioned situation inspired the GameDock, which turns into a full-blown console when you plug in and pair your iPhone, iPad or iPod using Bluetooth, then connect your TV, along with a couple of USB game controllers. Just like that, you and a buddy are playing big-screen Asteroids, Centipede and 100 or so other iOS games that work with iCade. With 43 days remaining, just shy of 10 grand has been upped toward the $50K goal, so check the source if you want to revel in the gaming days of yore — eye or thumb strain-free. 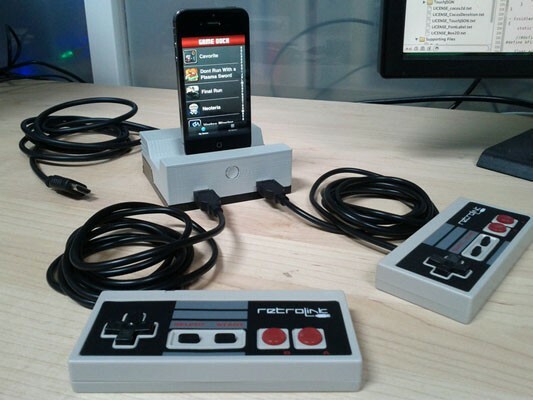 Insert Coin: GameDock lets your iPhone interface with a TV and controllers, game it old school originally appeared on Engadget on Wed, 04 Jul 2012 16:57:00 EDT. Please see our terms for use of feeds. Qualcomm’s Snapdragon S4 chipset is certainly hot (well, not too hot), but it looks like demand is expected to grow even further, causing the San Diego-based SoC maker to turn to allies in the east to help beef up supply. According to China Economic News Service, United Microelectronics Corp. (UMC) and Korea-based Samsung will join Taiwan Semiconductor Manufacturing Co. (TSMC) to manufacturer the 28nm chips beginning later this year, in an attempt to increase S4 availability ahead of the Windows RT launch. The article cites Qualcomm CEO Paul Jacobs as saying that a shortage is expected to continue, due to the complicated techniques necessary to manufacturer 28nm chips, and that the company may consider adding its own manufacturing plant in the future. All in all, it doesn’t seem like a terrible position for QCOM to be in. Full details are at the Taiwanese source link below. Qualcomm enlists Samsung, UMC to help meet 28nm Snapdragon S4 demand originally appeared on Engadget on Wed, 04 Jul 2012 16:34:00 EDT. Please see our terms for use of feeds. 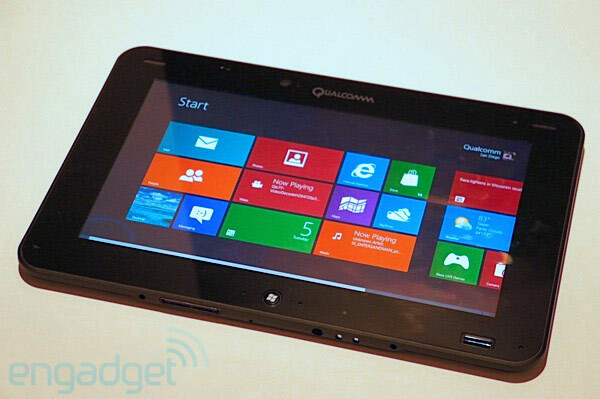 This week will be remembered as a volatile one if you’re a MeeGo fan. Just hours after Nokia posted the PR 1.3 update for N9 owners, the company’s MeeGo development lead Sotiris Makyrgiannis and other team members have confirmed that they’re leaving for greener pastures. The split appears to be an amicable one, with the crew largely going to CloudBerryTec to write mobile apps (including for MeeGo) and consult on software even as they share fond memories. What’s left is a lot of doubt over the fate of the swipe-driven OS itself. Nokia promised years of support for the OS as a side project following the big leap to Windows Phone, but it also hadn’t mentioned the possibility of important staff departures, either. We’ve reached out to the company for a fuller answer — if it turns out that MeeGo development is winding down, the staff shift could be the end to completely in-house OS creation at a company that was once defined by its custom platforms. 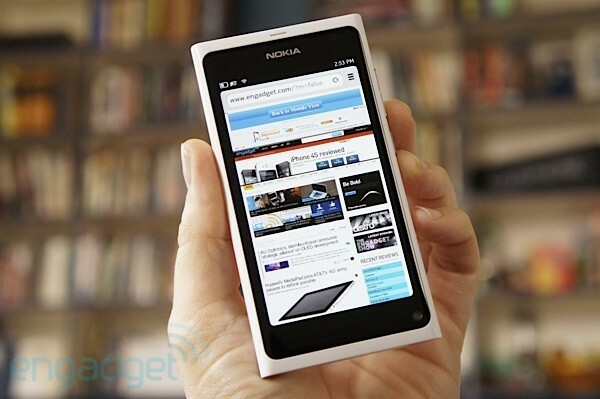 Key MeeGo team members leave Nokia, N9 owners swipe away a few tears originally appeared on Engadget on Wed, 04 Jul 2012 16:13:00 EDT. Please see our terms for use of feeds. This entry was posted on July 4, 2012, 5:31 pm and is filed under Mobility. You can follow any responses to this entry through RSS 2.0. Both comments and pings are currently closed.